Cooler weather makes me frisky. Feeling frisky makes me more productive in the garden. So does a well organized, well stocked, well thought out Potting Shed like this one here. 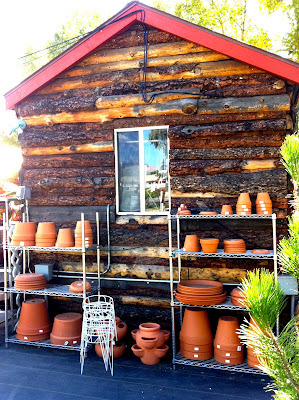 This beauty with its rustic charm and enviable neatness is at a small nursery in Buena Vista, CO. 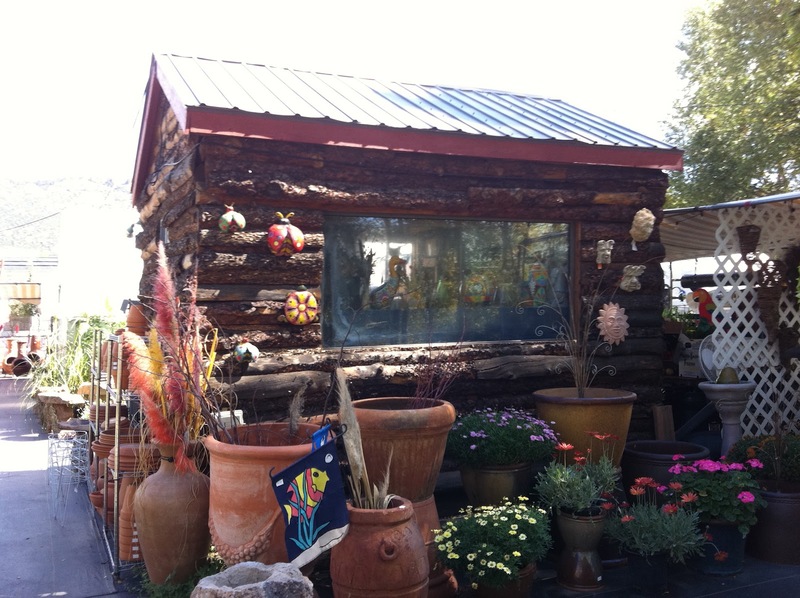 I love everything about it...the siding, trim color, metal roof...size and scale. Not to mention the good looking and practical shelving. All things to make a gardening enthusiast drool. This one, also in Colorado, is equally as lust-worthy and tidy. Notice the gravel surrounding it...an economical, common sense surface solution. Hanging chilies and a warn painted door make it even more delicious. Of course, it would be nice if the whole working area were more spacious (and a covered greenhouse would be sheer bliss) but we work with what have, now don't we? The lattice 'closet' for my shovels, etc.was copied from an illustration I saw in the delightful book Mrs. Whaley's Charleston Garden. If you haven't read it, you simply MUST. Find one here. 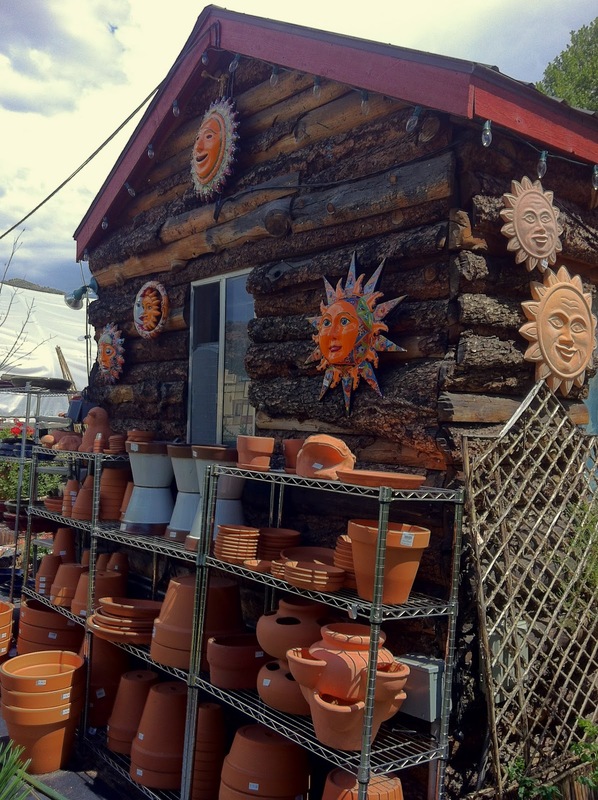 For a few more potting shed tips and talk, watch this video from a 4 Your Garden segment LC and I did a couple of months ago. Oh, one more requirement. A little shade...just in case it's 113 sweltering degrees again.